I have always been a health enthusiast and interested in movement. When I was younger, I ran, biked long distances and was always at the gym. As the years passed injury and stress took their toll. It was hard to accept that I just couldn’t do what I used to do. I had to listen to my body and to pace myself. I became interested in yoga and tai chi as a way to slow down and relax. After retiring from teaching school, I continued my healing journey to become a Certified Yoga Instructor. My body does not allow me the flexibility to do some of the poses, but I have learned the importance of moving with my breath. Through my yoga practice I have regained strength, control and balance. My goal is to “Keep On, Keeping On”. I want to play with my grandkids, garden, hike and do all of the things I enjoy in life. It is with this understanding of how the body changes and my enthusiasm for health that I can create a fitness program to meet your needs. 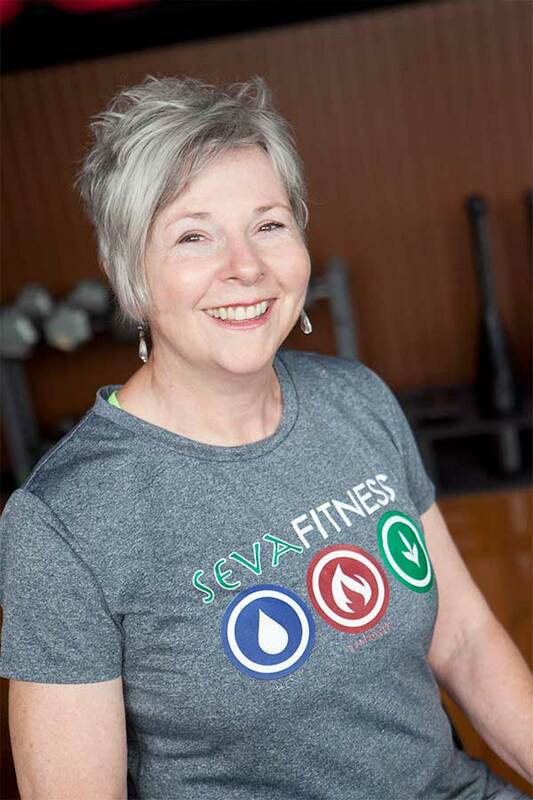 Together with Seva’s “Health First” approach to fitness, we can help you maintain life long fitness.